Located and stocked properly, your feeders will be at their best potential to attract the greatest variety of bird to your urban habitat. Wild birds have evolved to exploit different niches, eating different foods in different ways. Knowing where you live and the surrounding habitat will let us know what species of birds you can target. Proper feeder placement and food pairing to feeder styles are essential for success. It is just as important to know what species are willing to dine together, and who prefers to eat alone. Located and stocked properly, your feeders will be at their best potential to attract the greatest variety of wild birds to your urban habitat. Different styles of seed feeders are designed to attract different species of seed eating birds. Female Nuttall's Woodpecker enjoying suet at a sandwich feeder in Brentwood. Many species have little or no interest in seeds. Get the correct feeder for different types of foods. An adult male Dark-eyed Junco at a low-hanging tray feeder in Westlake Village. There is a right and wrong way to feed nectar loving birds – their lives may even depend on it. 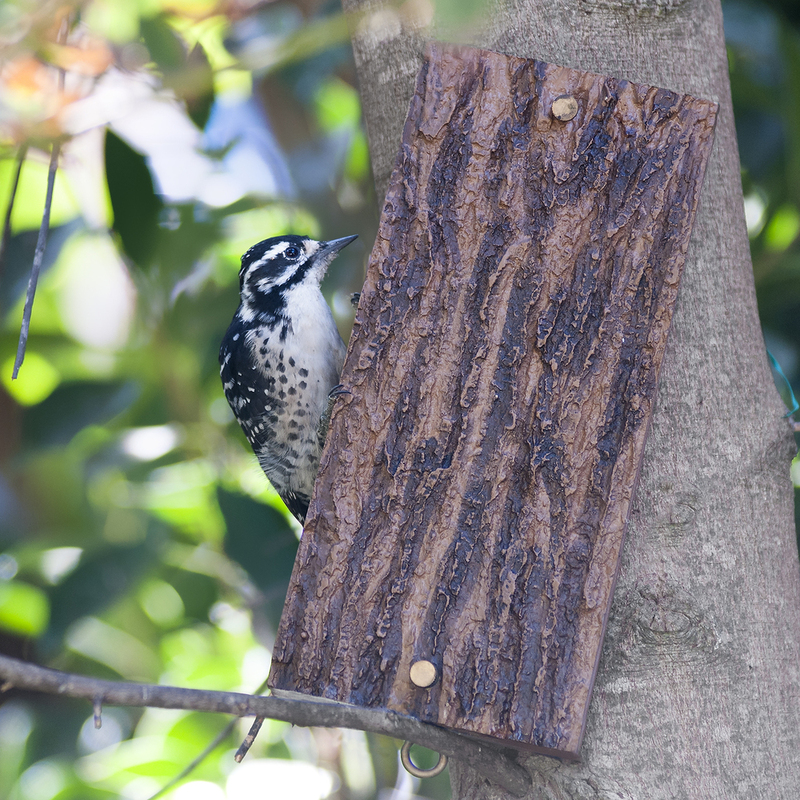 This Beverly Hills residing Bewick's Wren happily accepts tasty treats offered in a meal worm feeder. Western Scrub Jay with a peanut in Laurel Canyon. Hooded Oriole at nectar feeder in the Studio City with nesting cotton ball in background.